Vacation Bible School "Rolling River Rampage"
For Kids 3 years to 5th grade. To preregister a child or to volunteer please click here. Marble Supports Relay for Life! Our Relay for Life team is looking for walkers, donations, and help with organizing. This is a very popular, fun, and meaningful annual event in Milan. Please call the church office if you would like to sign up. Marble Supports Habitat for Humanity! If you would like to make a donation, please mark your offering "Habitat" in the offering plate on Sundays or donate online. Make a Joyful Noise at Marble! Everyone is invited to lift their voices to the Lord and sing in the choir. Rehearsals are Sundays after worship: 11:30am-12:00pm. Just stop by and sing with a “Joyful Noise” and good friends. Church-Wide Book Study is Under Way Now! Please join us for this all-church book study! Several study groups and times to choose from. 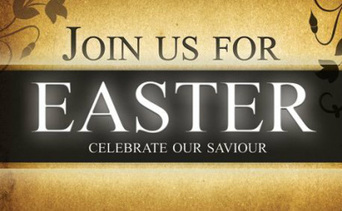 ​We invite you to join us for Holy Week and Easter! Check out the special services starting with Palm Sunday on March 25 through Easter Sunday, April 1. Wednesday, February 14th at 7:00pm. Our Handbell Choir consists of 7 members (ringers) and plays periodically at our 10:00 worship service and occasionally at special services. Rehearsals: 7:30-8:30pm on Wednesday nights from September to June. Open to anyone from middle school age through adults who have basic music training or experience. $10 adults, $5 for ages 6-12, veterans and children 5 & under free! Join us starting Sunday, September 10th at 9:00am. ​Drop-ins and new attendees are welcome any time. Hero Central Vacation Bible School! Marble’s Mission Rolls are back by popular demand! All proceeds will benefit our church missions! Pre-order your delicious sweet rolls by Sunday, April 16th for pick up on Sunday, April 23rd. Order yours now! March is Singing Month at Marble! Starting March 5th, everyone is invited to lift their voices to the Lord and sing with the choir during open rehearsals each Sunday in March after worship: 11:30am-12:00pm. No obligation, no commitment, and no prior experience needed! Let's Chill with Disney's Frozen Sing-Along! Marble will once again host this popular event, part of Milan's 2017 Let's Chill Winterfest. Free admission and free popcorn! Come in from the cold and sing your heart out! We invite you to our church for the Advent season! 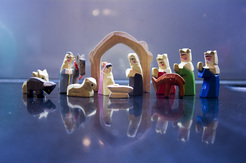 There's a lot going on here at Marble as we prepare for the birth of Christ. You are warmly welcome at any or all of the upcoming events, including our Goodie Sale and Craft Show, Christmas Eve and Christmas morning services! Details are on our Advent page. Goodie Sale Volunteer Bakers & Workers Wanted! Calling all bakers and those willing to work at the event! If that's you, please contact the church office for more details. $10 adults, $6 for ages 6-12, 5 & under free! 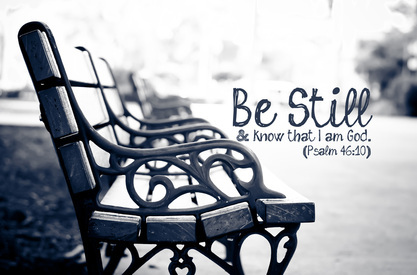 Adult Christian Education classes begin in September. Join us Sunday mornings at 9:00am starting September 11th and Sunday evenings starting September 18th. For class descriptions, click here. Please help us reach our $1,500 pledge goal this year by making a donation of any size. Mark your offering "Habitat" in the offering plate on Sundays or donate online. Ice Cream Social & Bake Sale! Bake Sale and Garage Sale! Milan Youth League Opening Day Parade! Join us after morning worship in the Fellowship Hall on Sunday, May 1 for a delicious brunch prepared and served by the youth and their families who will be participating in the annual youth mission trip to Henderson Settlement in Kentucky this summer. Donation of $5 per person requested. Funds raised will help cover expenses for the trip. Easter Sunday, March 27. 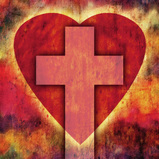 Click here for more information about the services and to sign up for our free Easter breakfast! Join us after morning worship in the Fellowship Hall on Sunday, December 13 for a delicious brunch prepared and served by the youth and their families who will be participating in the annual youth mission trip to Henderson Settlement in Kentucky this summer. Donation of $5 per person requested. Funds raised will help cover expenses for the trip. Join us this Advent Season as we celebrate the birth of Christ! Click here for information about our Longest Night (Dec 21) and Christmas Eve Services. Tickets sold at the door: $10 adults, $6 for ages 6-12, 5 & under free! Would you like to be part of the music ministry at Marble? Choir and handbell rehearsals are on Wednesdays, and it's never too late to join! Contact Mike Williams for more information. those who have passed in the last year. Join us for the Blessing of the Animals! 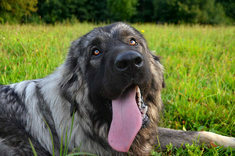 but please make sure they're leashed or crated to avoid any mishaps! 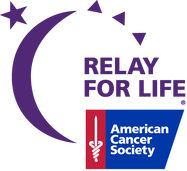 Our Relay for Life team is looking for walkers, donations, and help with organizing. This is a very popular, fun, and meaningful annual event in Milan, and with this year's Disney theme, it should be especially magical! but there are many other ways to help this cause! Get hoppin' to an Aussie Adventure Down Under! 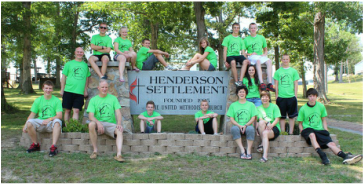 The Youth Mission Trip to Kentucky is coming up! on Saturday, June 20 at 9:45am in the church parking lot. for the volunteers are much appreciated! Join us after morning worship in the Fellowship Hall on Sunday, May 3 for a delicious brunch prepared and served by the youth and their families who will be participating in the annual youth mission trip to Henderson Settlement in Kentucky this summer. Donation of $5 per person requested. Funds raised will help cover expenses for the trip. Easter Sunday, April 5. Click here for more information about the services and to sign up for our free Easter breakfast!